Most people could not function very well in our society if they did not have the ability to drive. Having your driver’s license suspended can have dire consequences on your ability to work, get your children to school and other activities, and do many of the other day-to-day activities that you need to be able to drive to. This could cause an even greater hardship in your life if your driver’s license is revoked. However, there are steps that you may be able to take to get your driver’s license restored once you meet the requirements of your suspension or revocation. To learn about these options and to successfully have your driving privileges restored, you may need the assistance of an experienced traffic law attorney. Why Would Your Driver’s License Be Suspended or Revoked in Virginia? Failing to pay court fines and costs for traffic tickets or non-motor vehicle-related offenses. Failing to maintain insurance coverage on your vehicle as required by Virginia law. Failing to complete a driver improvement clinic. Failing to pay jail fines. Having your driver’s license suspended for reckless driving. Providing alcohol to a minor or an intoxicated person. Having a certain number of demerit points on your driver’s record for traffic violations. Having a mental or physical condition that makes you unable to drive safely. Failing to pay a judgment related to a motor vehicle accident. Having a conviction as a habitual offender. Driving while intoxicated either by drug or alcohol consumption. Driving while your driver’s license is suspended for driving while intoxicated. Being convicted of involuntary or voluntary manslaughter that involved driving a motor vehicle. 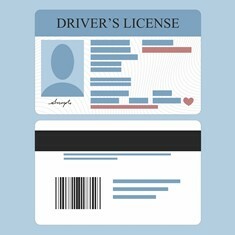 Taking a driver’s license test for someone else, appearing for someone else to renew a license, or giving false information when applying for your own driver’s license. Being convicted of a drug offense that does not involve the use of a motor vehicle. Failing to stop at the scene of a crash and disclose your identity. Incurring three demerit points on your driving record if you are under 18 years old. Order a Driver Transcript and a Compliance Summary through the Department of Motor Vehicles to determine what requirements you must meet for your driver’s license to be restored. If you were convicted as a habitual offender, obtain a copy of the Habitual Offender Order. Pay all your fines and costs for your traffic offenses or have a valid payment plan and have made consistent payments. Hiring an experienced traffic law attorney should be your first step if you want to get your driver’s license reinstated. Depending on why it was suspended or revoked, your attorney may be able to help you obtain a restricted license allowing you to drive to work or other limited locations during the suspension or revocation period. He can also guide you through the steps necessary to reinstate your license and attend any required court hearings on your behalf. If your driver’s license has been suspended or revoked, call our Fairfax law office today to schedule a free consultation to get your questions answered and learn how we can help you.